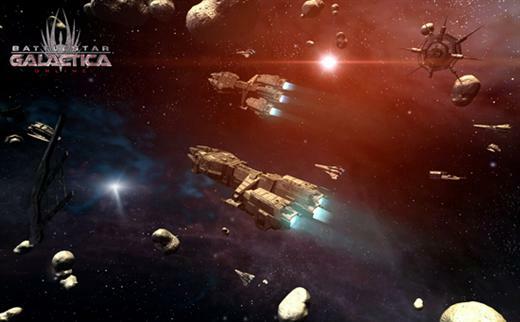 Battlestar Galactica Online is a free tactical and strategic online browser game inspired by famous Si-fy TV series, it uses the Unity 3D Engine to deliver impressive graphics with no need for download. 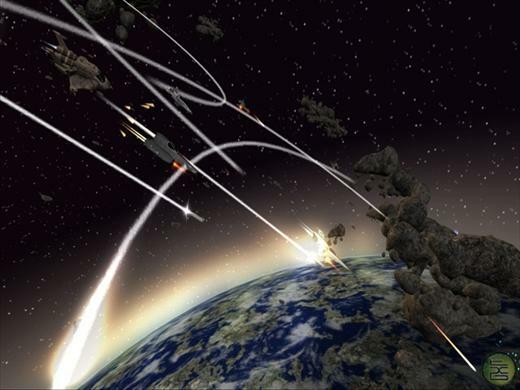 Battlestar Galactica Online features a traditional two-faction system, Cylon or Human, and has both PvE and PvP components, giving diversified gameplay options to the player. Interact with your favorite key characters, complete challenging missions from your commanding officers, and fly a Colonial Viper or Cylon Raider – or command ships never seen before now. But first, you must decide: will you stand with humanity, or against it? Story-based missions that delve into new aspects of the show’s universe. Varied progression options that offer the freedom to create your ideal character. 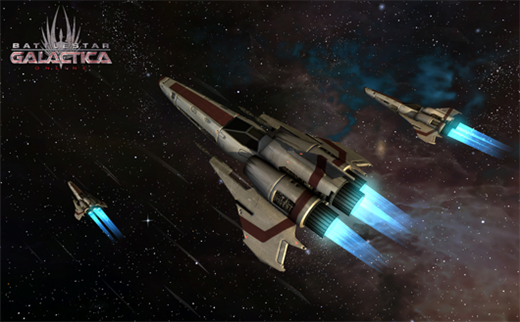 Multiple ships to command, with a huge variety of upgrades and customization choices. Fantastic light/shadow effects, detailed planets and meteorites environment. Related Tags: Battlestar Galactica Online, BigPoint, PVE, pvp, Sci-Fi, Space strategy, Unity 3D engine.